The Business & Property Law team has extensive experience in litigation and non-contentious advisory work with a strong reputation in all areas. We offer a comprehensive and efficient service geared to the needs and resources of the client. In 2015 the team expanded to include two eminent Counsel from London Chambers, Francis Taylor Building. Gregory Jones QC and Richard Honey are Associate Tenants with a particular specialism in property, environmental and planning law. Their addition strengthens the teams’ reputation for being home to specialist Counsel. All members of the team are Direct Access qualified. Highly aware of the demands of the modern day business world, the team is dedicated to providing cost-effective practical solutions to business clients with swift commercially aware advice. We do this by setting out a clear and practical strategy tailored to the particular needs of the lay client and the circumstances of each case. Our barristers routinely handle matters relating to: commercial contracts, company law, partnership, insolvency, guarantees, agency economic torts, commercial credit and security, commercial fraud, sale of goods and supply of services, professional negligence including accountancy, solicitors, surveyors, architects, building contracts, IT professionals and financial lending institutions. We represent major industry, developers, Government departments, statutory regulators, local authorities and members of the public on matters concerning major energy infrastructure, airports, railways, water facilities, electricity, gas and oil. Members of Chambers are also expert on claims in common law nuisance, statutory nuisance and contaminated land. The Group has extensive experience in VAT and Customs work and have regularly appeared before the VAT and Duties Tribunal over many years. The team prides itself on its ability to deal with a range of private client needs in a sympathetic, personable and cost effective manner. 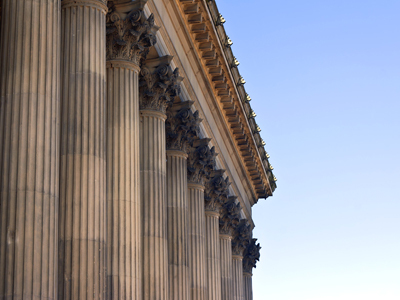 We understand that for private individuals litigation can sometimes be a difficult time. We aim to ensure that each lay client’s needs are clearly understood in order to deliver a cost effective solution to their problems. As well as providing expert advisory and litigation services, we are well versed and skilled in mediation and other forms or ADR, mindful that a well negotiated settlement often provides the most efficient solution for a client.